This is sure to warm you up on a cold winter day! In a saucepan, combine sugar and corn syrup. Stirring regularly, allow to heat until sugar is dissolved (about 5 minutes). Once sugar is dissolved, remove from heat and add vodka and peppermint extract. Allow to cool and store in resealable bottle. WaLa! 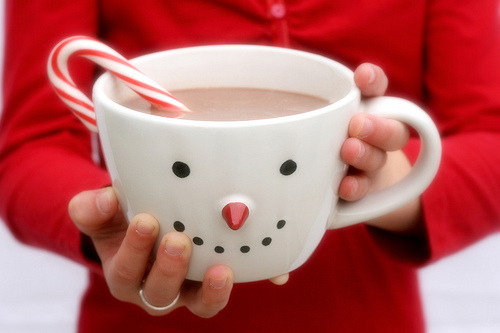 Add to your cocoa and enjoy! Perfect Night Cap! It's dessert and a end-of-the-day relaxing comfort in one.